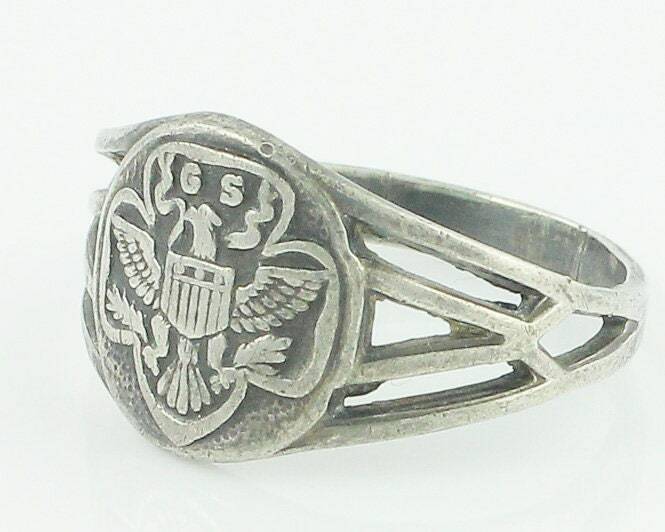 Vintage Girl Scout Sterling Silver Ring. 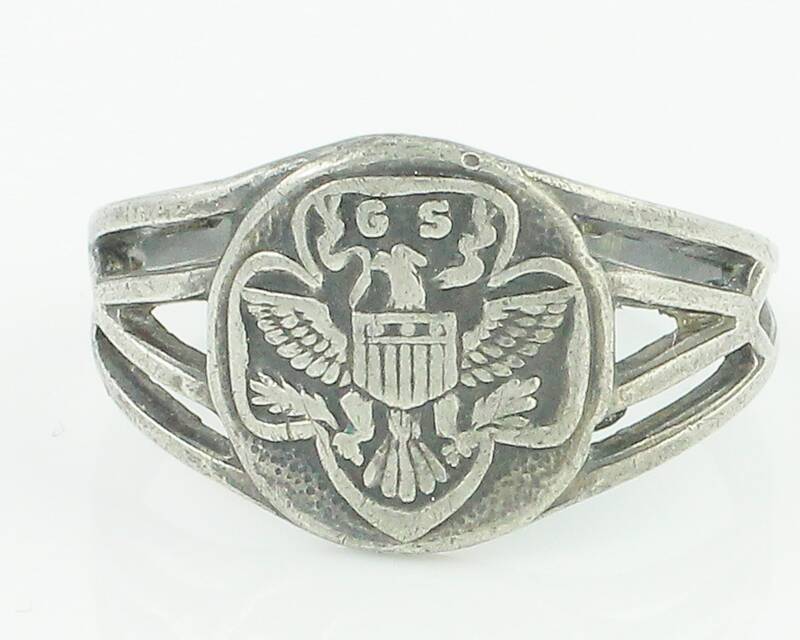 A wonderful memento of Girl Scouting, this little ring features a trefoil on a round disc and beautiful pierced shoulders. 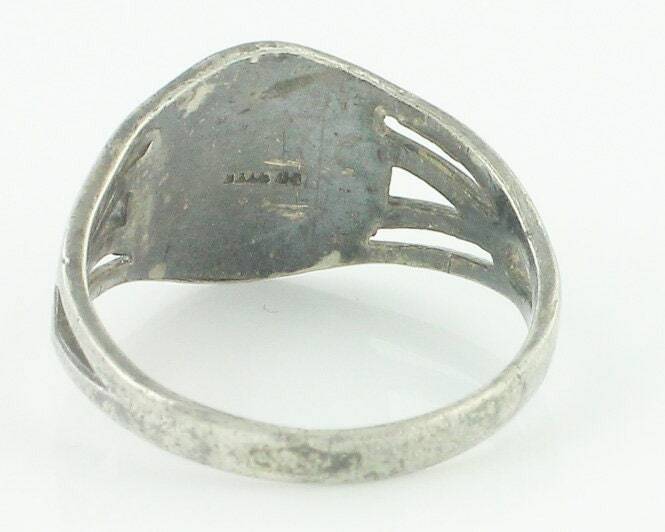 The ring measures 10.75 mm at the front and tapers to 2.9 mm. 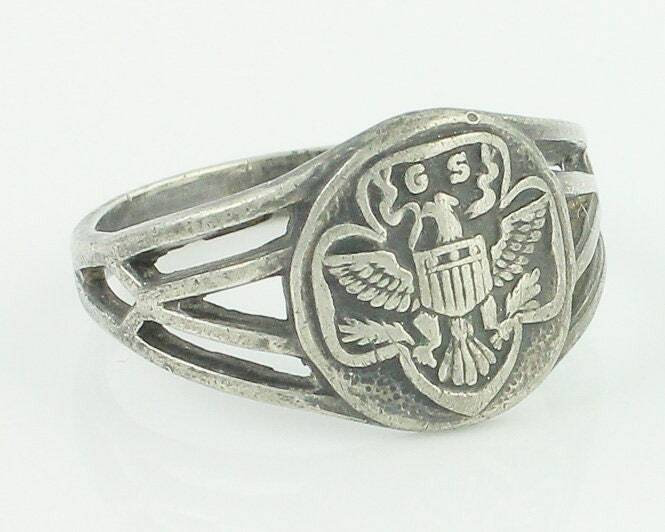 Size 5.75 In very good, vintage condition with a lovely patina. Stamped PB Ster on the reverse of the head. CONDITION: In very good, vintage condition, with lovely patina. 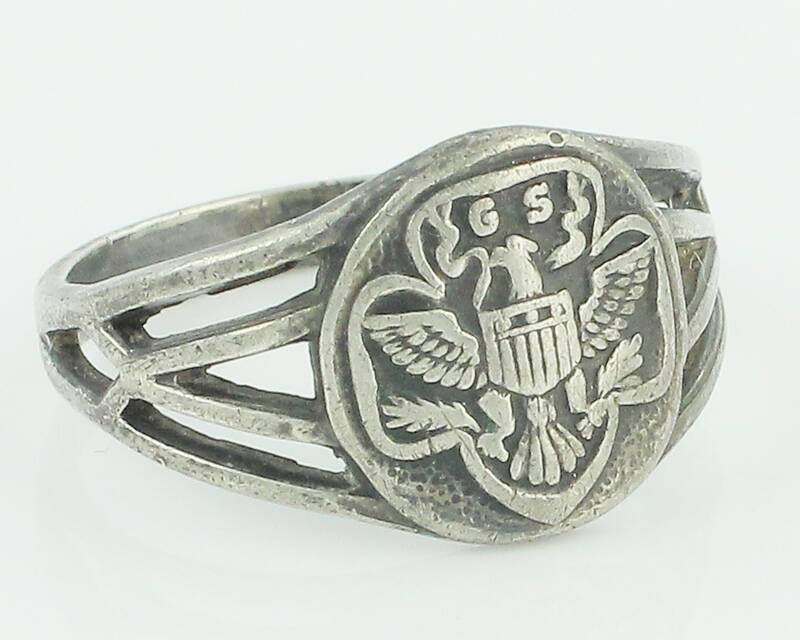 MEASUREMENTS: Ring is 10.75 mm wide at the front, tapering to 2.9 mm at the reverse.